Commissioning, coaching and delivery of the world's finest sailing vessels. Jan Cluistra I was born in Holland and educated in South Africa. I fell in love with the sea fishing off my Dad's boat. I worked in my Dad's construction business and studied engineering in college. I've built 2 boats and one marina. 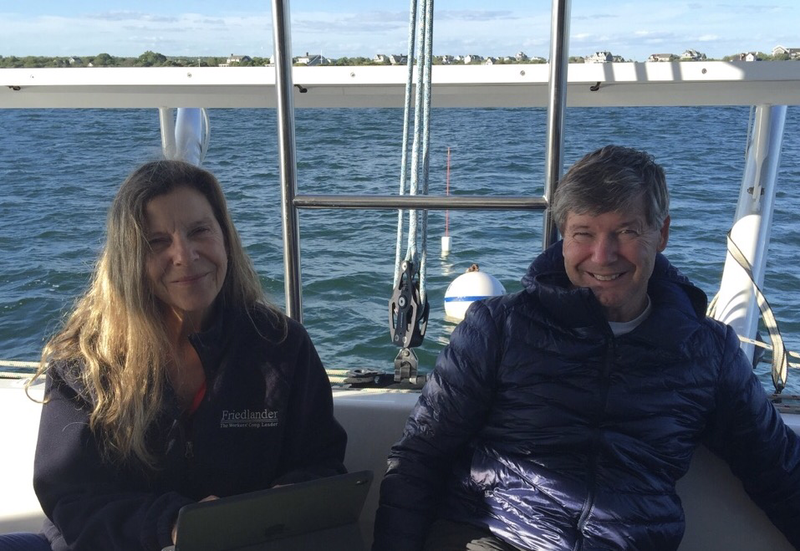 I enjoy all aspects of sailing: passage planning and passage-making, studying weather, commissioning boats, testing boats and helping new owners become confident and capable masters of their boats. Claudia Dengler My parents and grandparents were avid sailors in Lübeck, Germany. I bought my first boat right after college, a new Catalina 27 and did a lot of single-handed sailing off the coast of southern New England. After relocating to Minnesota, I became a Lake Superior cruiser on my Island Packet 40 and later stepped up to a Hallberg-Rassy 53. I love everything about sailing: being out in nature, developing & using technical skills and helping people learn to sail and have fun on boats. I retired from a career as an executive in 2007. We have been sailing together since the fall of 2013 and started our joint venture in the spring of 2015. If you would like to talk with us...please leave your e-mail or phone here.